In recent years, many companies have looked to self-service options and artificial intelligence (AI) solutions to streamline the customer experience (CX). While it’s true that customers like easy answers to their questions, companies shouldn’t neglect the human side of CX. In fact, a recent study from Google found that 61% of shoppers using a mobile phone will call for information when making a purchase decision. The reason? It’s often quicker to talk to a human being than find information through a company website or even an online chat. This means that your company needs to sustain a strong focus on your frontline team. You need to equip them with the tools and know-how required to serve customer needs. In addition, your customer-facing employees need to aim to deliver personalized experiences every time they engage with customers. Today, your customers expect that your company will recognize them and treat them consistently across every channel. Consider the experience of a regular customer who typically completes transactions online–and then shifts to interacting with a frontline customer service representative (CSR). Once logged in, your website will automatically recognize your customer as a past shopper–and pre-populate shipping and financial information. You may also be able to make purchase recommendations based on prior purchases. Does this same automatic recognition happen when a customer calls into make a purchase? Or will he or she have to repeat information that is already saved in your systems? Will your CSR have insight on the customer’s relationship with your brand? And what if the customer reaches out via phone again? Will they have a comparable experience to the previous one? brand-affirming experiences to your customers? Can you manage that accountability across your entire front-line service footprint? 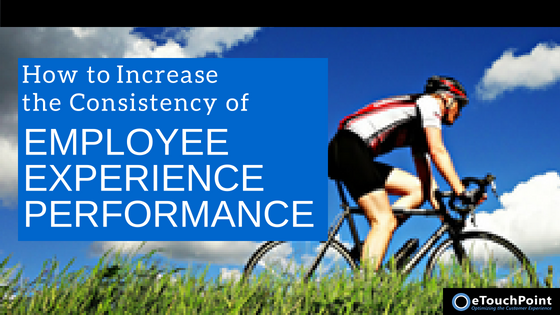 Our white paper “How to Increase the Consistency of Employee Experience Performance“ can empower you to elevate the performance of your frontline team. 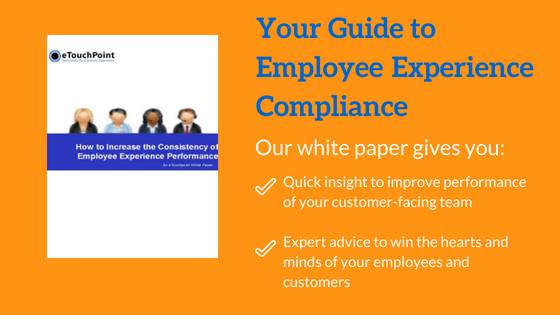 Download it today to learn proven practices to advance your CX program.